Between my job and the constant want to update our house, I spend a bit of time perusing online looking for new vendors and products that speak to me. I recently stumbled upon this Popsugar article with a load of fantastic resources for online home goodies. A few of the sites mentioned are new to me and I am so glad I stumbled upon them because they are FULL of goodies. I dream of spending all the dollars at Zara Home. 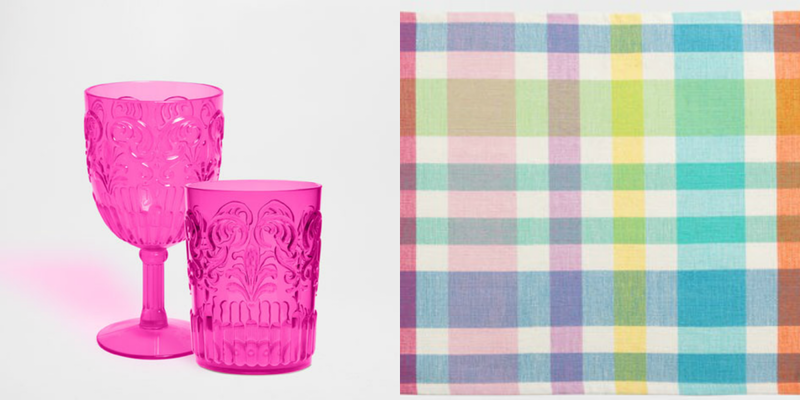 How cute are these glasses and placemats for summer? Like I mentioned with the rug, I am on a mission to find new pillows. You would think that wouldn't be that hard but the options are endless. One of the below is obviously my first choice. Not to mention it is called 'low rider'...how much better can we get? But I also love the orange and think it would go well with the new rug. Dot and Bo has some really great stuff...dangerously cute. One Kings Lane and Dwell Studio can never do wrong in my book. You can always find a winner with them. 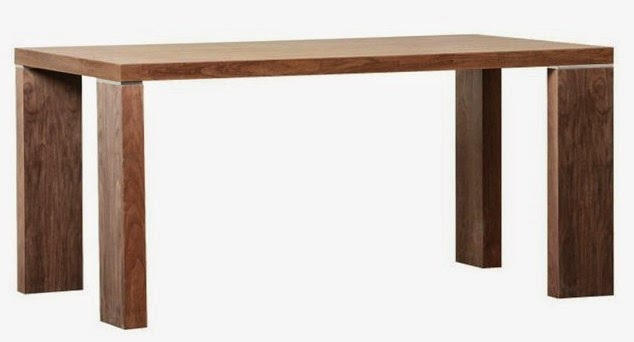 I love how this dining table is a mix of modern and rustic. The lines are so simple yet so interesting how they've rotated the legs. I can just see bright, patterned chairs surrounding it. Didi you know H&M had a Home department?! Yeah, me neither. And it chock full of cuteness. 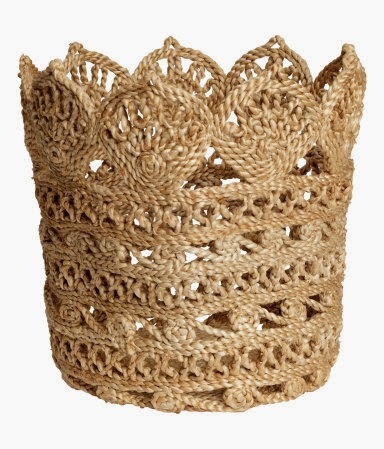 How cute is this basket to throw blankets of movies into? Alright, now that I've spent all of my monies...time to narrow down to what I really want. Any great websites I should check out? Yes to the dining table! I think I'm leaning toward doing something rustic-ish like that with cool chairs. But there will be LOTS of online research before I pull the trigger on that. 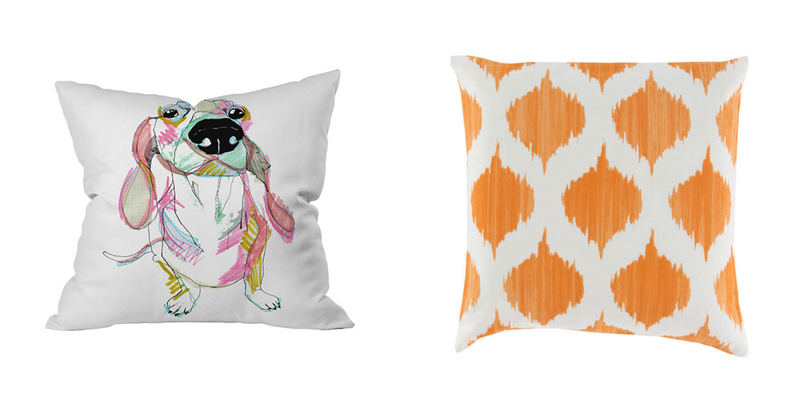 Great pillow finds too! I think you definitely need the dog one. I so wish I had a huge back porch area so I could buy a ton of outdoor furniture/etc! All this stuff is so cute! You are dangerous! I have a problem with buying too many throw pillows, and that dining table is Amazing! Oh my gosh you have to get the low rider pillows! Those are amazing!! Come decorate my new house please and thank you. Oh wait, just kidding, I'm moving in with YOU!